While South Africa’s unemployment rate had been ranked as the worst in the world not so long ago, the latest results of the Quarterly Labour Force Survey released by Statistics South Africa revealed that unemployment in South Africa has declined. This is because the number of job seekers has decreased by 92 000, while employment grew by 235 000, resulting in a slight decline in the official unemployment rate by 0.6%. The unemployment rate has only declined in four of South Africa’s nine provinces: North West, Limpopo, Western Cape and Gauteng. The growth in employment was mainly driven by the Services industry which grew by 73 000, followed by Transport and Manufacturing which grew by 46 000 and 44 000 respectively. All the other industries reported employment growth, except Mining and Construction, which declined by 17 000 and 9 000 respectively. 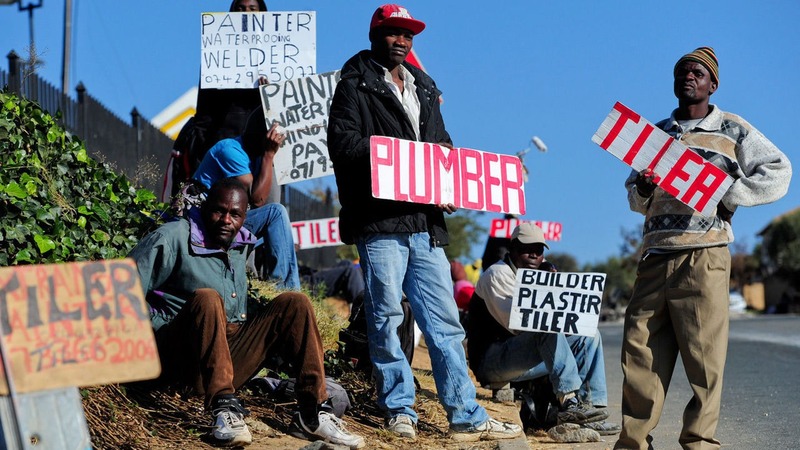 The expanded unemployment in South Africa – which includes those who want to work but have not made any attempt at finding employment – has decreased by 116 000. This simply means that 8.9 million South Africans are unemployed but want to work. However, the youth of South Africa remains vulnerable in the labour market, with an unemployment rate of 37.1%, which is predicted to decline by 1.1% by the end of 2017. Research has revealed that education plays an important role in labour market outcomes, as people who have not obtained their matric qualifications make up for 59% of the unemployment rate. On the other hand, the unemployment rate among graduates had decreased by 7.0%. While a decrease in unemployment comes as great news to South Africans, a great number of people have had to accept lower income positions due to the downgraded economy. These people may find themselves indebted or struggling to keep up with their current or previous lifestyle. If you are one of these people, contact National Debt Advisors for an effective debt review service that will get you back on your path to financial stability.